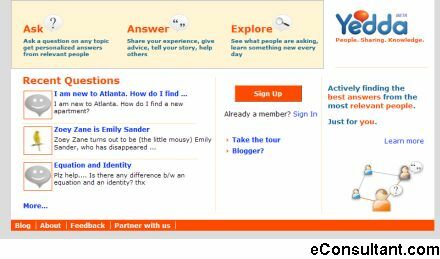 Description : Yedda connect people who are looking for knowledge with the people who have the knowledge. Ask any question on any topic, and Yedda will search for people with the relevant interests and knowledge, and invite them to answer your question. Share your knowledge by answering other people, build your reputation and connect with likely minded people.